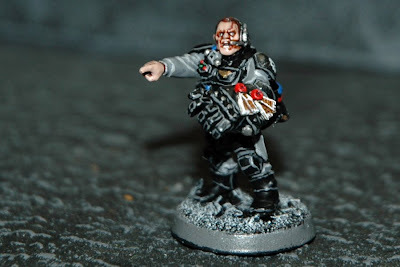 Adeptus North Texas: March Lucky 13's Event: Mordant 13th High Command Group Complete! 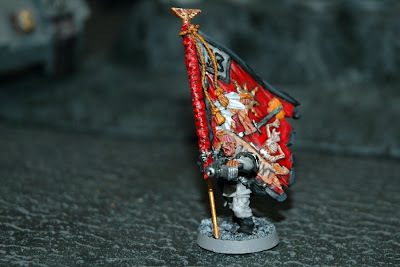 March Lucky 13's Event: Mordant 13th High Command Group Complete! Hobbyists met Sunday, March 23rd at HobbytownUSA Dallas to complete one of the most unique and satisfying Lucky 13s Apocalypse Campaign events yet--and the Mordant 13th Imperial Guard High Command Group was an enormous success! 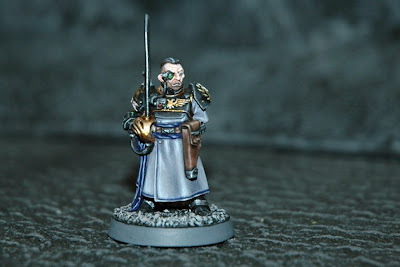 19 of the 20 possible models were claimed by participants--and an impressive 16 of those 19 hobbyists delivered on their commitment, arriving on the day with a contribution to the retinue of Lucky 13s Colonel Jago Kallowen which excelled all expectations across the board! Counting participants, interested hobbyists present, and HTUD staff, 23 ballots for 'Favorite Model' were collected; 11 of the 16 models received at least one vote, suggesting the broad quality across the submissions. Five models received more than one vote: Bob Westbrook's Mastervox Operator collected two to take Third Place, and three hobbyists tied for Runner-Up with three votes each--Vincent Headrick's Staff Officer, Bill Zalman's Standard Bearer, and Matt Mayer's High Commander Colonel Kallowen himself! 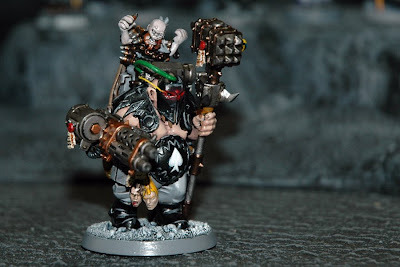 The winning model, collecting six votes, was Ogryn Bodyguard Ognot Plasma-Face, created by Aaron Wheatcraft! Congratulations to all the participants on a job well done! 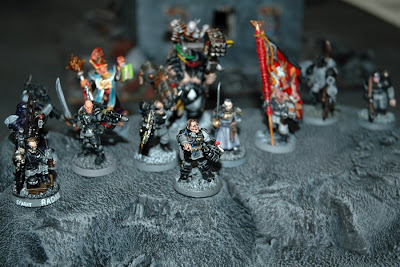 View the full gallery here: Lucky 13's Command Retinue Gallery.